Our client is a global logistics and commercial office moving company, has an immediate need for a Customer Service Manager to lead a team of Customer Service Coordinators in the Seattle, WA area. This person will directly supervise a team of 5-10 coordinators spread out over the multiple branch locations. The specific duties of this role will include the leadership of the group of customers service reps, ensuring that superior service is being offered to both new and existing customers. This person will ultimately help develop and implement procedures and process that will help improve the levels of customer service to the client. They will monitor all documentation and compliance. They will handle hiring and training of staff. They will handle all annual performance reviews. 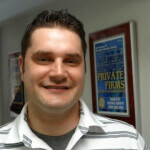 This team will handle and coordinate commercial office moves for clients. The Customer Service Manager will be expected to travel once a month, for a few days each trip, to the various branch locations around the country. Compensation: In this position, the base pay will be in the $60k range, though this will certainly be flexible depending upon experience. Also included in this offer is a very strong benefits package that will include medical, dental, vision, 401k, paid time off, paid holidays and more. Requirements: The ideal background in this role will be a Bachelors Degree along with 2-5 years of progressive customer service experience and leadership experience in the commercial office moving and relocation industry, or similar industry.